← From legal highs to legal supplies? A few miles before it meets the sea, the River Dart enjoys several wide meanders through beautiful South Devon countryside. 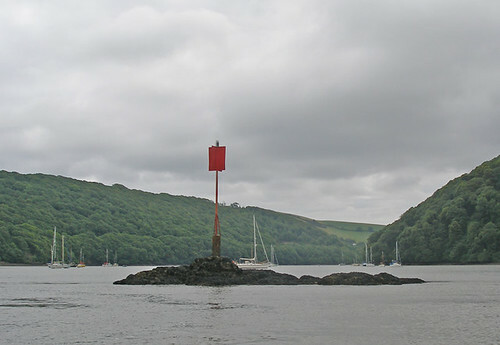 Near the village of Dittisham, however, mariners must be aware of a dangerous obstacle, the Anchor Stone, a huge rock protruding from the river. Rumour has it that Sir Walter Raleigh used to smoke his pipe while seated on the Stone; Raleigh certainly spent much time at nearby Greenway House. Now, some 400 years later, the river Dart near the Anchor Stone is the site of a novel tidal power project. On a recent bright but cloudy Friday morning I made my way to Dittisham. The village spreads down the hillside to a wide sweep of river and there is a proud prosperity expressed in the neat cottages and individual houses. I walked along walled paths, richly decorated with red valerian, to find the Anchor Stone Café. The café is right on the water’s edge and I was here for the first public presentation on the tidal power project. The project is the brainchild of the Totnes Renewable Energy Society (TRESOC), a local group aiming to provide community ownership of renewable energy resources. The group is financed by shares owned by members of the community; I have a small number of shares myself. The flagship project was for a wind turbine on a hillside south of Totnes that would have provided enough power for 2500 homes. Planning permission for the turbine was refused by the local council earlier this year after a very polarised local debate. 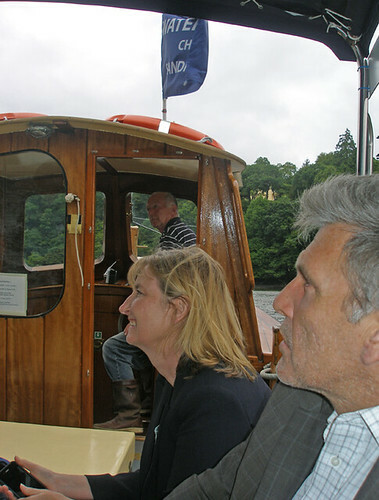 TRESOC is also involved in raising financial support for a project developed by a local consortium to generate hydroelectric power from the River Dart at Totnes weir. 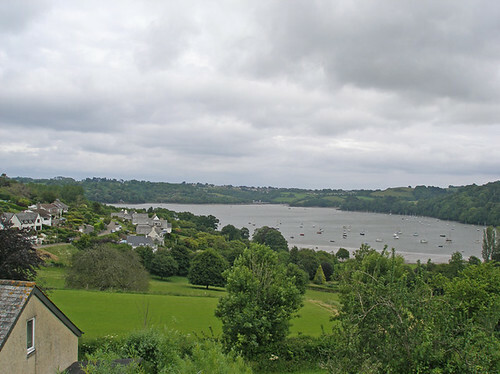 Now, further down the Dart near Dittisham, TRESOC wants to produce tidal power, exploiting the rise and fall of the tide in a deep channel next to the Anchor Stone. The channel here is more than 20 metres deep so that positioning a tidal power device would not disrupt shipping. About 40 of us gathered in a small room in the Anchor Stone Café. I was pleased to see that the room lacked projection facilities as I hoped this might encourage brevity. Our local MP, Dr Sarah Wollaston appeared at the back of the room, so I knew that this project had some significance. First we heard from Ian Bright, TRESOC’s Director who told us that currently they were trying to assess the viability of the project and any environmental barriers. Later he spoke about the importance of engaging with all interested parties as early as possible. This, I believe, was a coded reference to the fact that they now realise that they didn’t get everyone on board soon enough for the wind turbine project. Next, Mandy Burton, TRESOC’s engineering director told us how, with Plymouth University, they have placed a measuring device, the Sea Spider, in the deep channel at a depth of about 20 metres. The Sea Spider will measure the speed of the water flows over a two week period. Based on the results, a decision will be made on which turbine could be used; the most likely one is a 2 or 3 blade slow turbine. She told me later that the energy output might be enough to power 50-100 homes. Third in line was Dr Dan Conley, from the University of Plymouth. His laconic North American tones provided an unexpected contrast to the previous speakers. Conley is an expert on marine renewable energy and runs the world’s first Masters Programme on the topic. With one of the MSc students, Francesca Ford, and TRESOC they have deployed the Sea Spider and will use the data to determine the potential size of the tidal energy resource. TRESOC have paid £1000 towards this project. My overriding impression, listening to the three talks, was of enthusiasm but a lack of detail; this is frustrating but is perhaps to be expected as the project is at a very early stage and reflects the desire of TRESOC to keep everyone informed. A question and answer session then followed and I didn’t detect much opposition to the project despite the fact that quite a few locals were there. 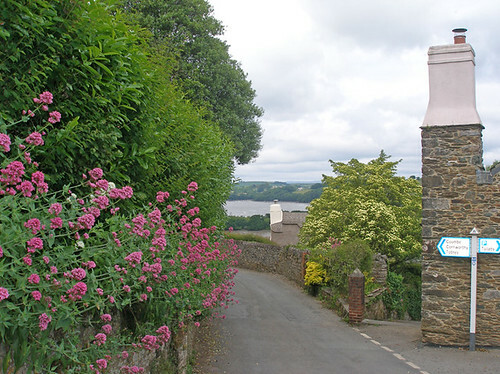 One Dittisham resident warned Ian Bright that he had better do his homework as the Anchor Stone has an important place in the hearts of villagers. She gently chided him for already having upset the locals by mispronouncing the name of the village; real locals say “Ditsum” whereas Bright has publicly referred to “Ditshum”. Even I knew that! There was some discussion about the effect of a turbine on the ecology of the River and the time it might take to sort out environmental issues. One concern is the effect of a submerged turbine on passing fish and seals but apparently fish are clever enough to avoid the slowly turning blades (30 rpm) and seals enjoy playing in the vortices. There could be an effect of the vortices on the river bed. After the presentations, we were offered a short boat trip to see the channel. It was interesting to see the Anchor Stone close up and I thought of the boats that must have foundered here before warning signs were erected. You couldn’t really appreciate the depth of the channel but I was glad I went. After the boat trip, Sarah Wollaston asked Ian Bright if he had done his sums on the carbon emission balance for the project; how much carbon would be used to make the turbine etc in relation to the carbon saved by using tidal power? It turned out that he hadn’t. This is an important question but I suppose it cannot be answered until the results of the current exploratory study are available. The Anchor Stone project is a small project but we should not belittle it for that. If it is successful, it will be a renewable energy project promoted and owned by a local community. It would show that people in local communities can make a difference at a time when government appears to be dragging its heels on promoting these sorts of schemes. 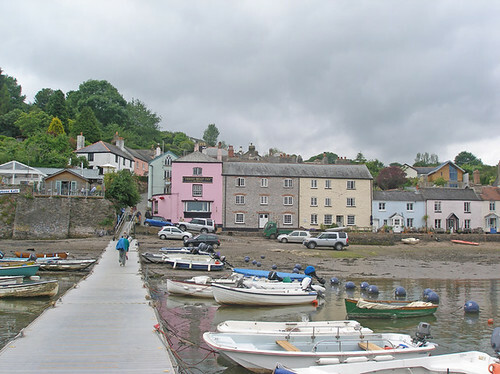 This entry was posted in Guest posts, Uncategorized and tagged devon, Dittisham, Dr Sarah Wollaston, marine renewable energy, river dart, tidal power, Totnes, transition town totnes, TRESOC, turbine. Bookmark the permalink.